Secret To Sensual Feet & Shoes! You are here:Home » Product Reviews » Secret To Sensual Feet & Shoes! My favourite Nine West stilettos was ruined after getting caught in the rain. 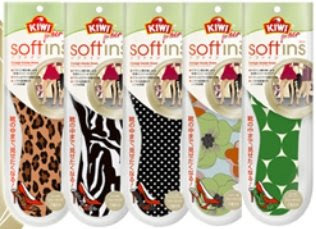 Thank goodness I discovered Kiwi Soft’ins & it only costs me S$4.95! 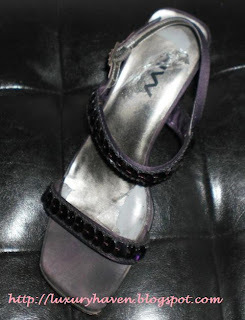 I peeled off the Nine West plastic film on the stilettos to ensure a smooth surface. 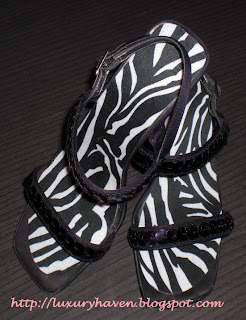 I trimed liners according to my shoes, remove the protective layers & place them firmly on the shoes. Voila! Here's my new pair of Nine West stilettos. These Soft'ins designs come in leopard, zebra, polka dots, pastel floral & green dots to choose from, you’re really spoilt for choices. They can be easily removed without leaving residues. WTF!! this is super ultra brilliant! I want 3!! have not seen this product b4, very useful. Thks for following my blog, Agnes! Left a comment on your food blog & tried in vain to return d favour. Java-script error when i clicked on follow & it hanged.